Since there are still some New Year resolution around the gym, although we hear less and less about them now, I decided to write about some more of the common fitness and nutrition myths that affect them the most. The problem is people thinking that doing crunches will decrease their waist line. Nope! You can’t spot reduce. If you are carrying extra fat then you need to burn that off. In theory you could do crunches to burn calories but you would need to do a lot of them. There are 3500 calories in one pound of fat. 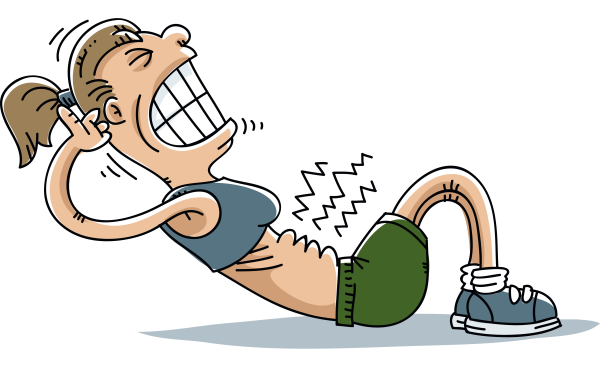 Men’s Health Magazine suggests that you need to do 22,000 crunches to burn that one pound of fat. There are may other safer, time efficient and effective ways to burn off fat than lying on the floor and doing thousands of crunches. Spend your time wisely in the gym. Do Crunches to strengthen your core but hit up some more cardio and keep your diet in check for that calorie reduction. Quite the opposite, you can get quality workouts without feeling like a bag of smashed As*%#^es the next day. That mantra comes from the guys that crave that burn, the pain. They like to puke in the gym and think it is great when they can’t walk or shampoo their hair the next day because they are so sore and can’t move. Those guys are a special breed and yes that works for them. If it worked for everyone there wouldn’t be a obesity epidemic in North America. 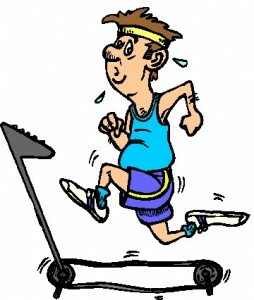 in reality a good exercise program should feel like you have more energy and that you are refreshed after your workout. Instinctively we are taught to avoid pain. If we start to associate pain with exercise we will start to find any excuse there is to avoid it. That’s not how we want to view exercise. You should enjoy your exercise time. That will want you to do it more and you will achieve greater results. You need to Sweat a lot! Sweating is your body’s way of cooling off. You could be lying in the sun in Mexico and heave sweat pouring off you. Does that mean your burning calories? No! It just means that your hot and your body is trying to cool itself. 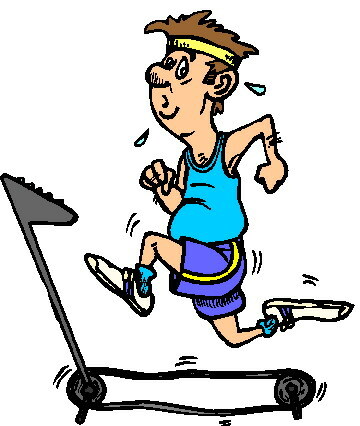 You burn the majority of your calories when you are not exercising anyway. You burn a lot of calories just in normal things around the house and your body’s own internal processes keeping you alive. If you sweat a lot when you exercise that is fine. If not don’t feel like you need to step up your intensity to the point of sweating buckets, especially if you’re not ready. You are more than capable of burning extra calories from exercise every day without sweating up a storm. Machines are safer than free weights! Many think machines are safer because if you mess up you won’t have a bunch of weights dropping on your head. This is true but you can hurt yourself in other ways. Machines are designed for the average person. If you are really tall, short or wide then you may have difficulty adjusting the machine to fit your body. If you can’t adjust the machine to fit your body properly then your range of motion or form may be altered because or improper body alignment. There can even be an increase in torque stress placed on joints if you are not set up properly. 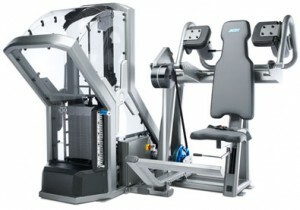 If you are using a machine and not adjusted to it properly, the machine will continue to run in its movement path. If the machines path is different than your body’s preferred path and you are trying to force the machine into a different path, you will lose. If you lift weights you are going to get jacked! The Quote is completely true, hit the nail on the head with that one. I have many friends that want to be bodybuilders and continually want to put on muscle but can’t. Just lifting weights is not going to transform your body overnight. All of the competative professional bodybuilders and many ameature bodybuilders are on very strict diet plans, insane workout programs, a ton of supplements and other performances substances, both men and women. That being said, women don’t have enough testosterone to build that kind of muscle. If they are crazy muscular than they are probably adding a little extra into their diet. To play devil’s advocate, if i may, building that quantity of muscle does not happen overnight, even with “supplements” If anyone that was lifting weights and said “I think I’m getting too big/too muscular” then it is easy to take some time off the gym or cut back a bit. It is not that hard to get out of shape. Hopefully that dispels some of the other myths that are out there.